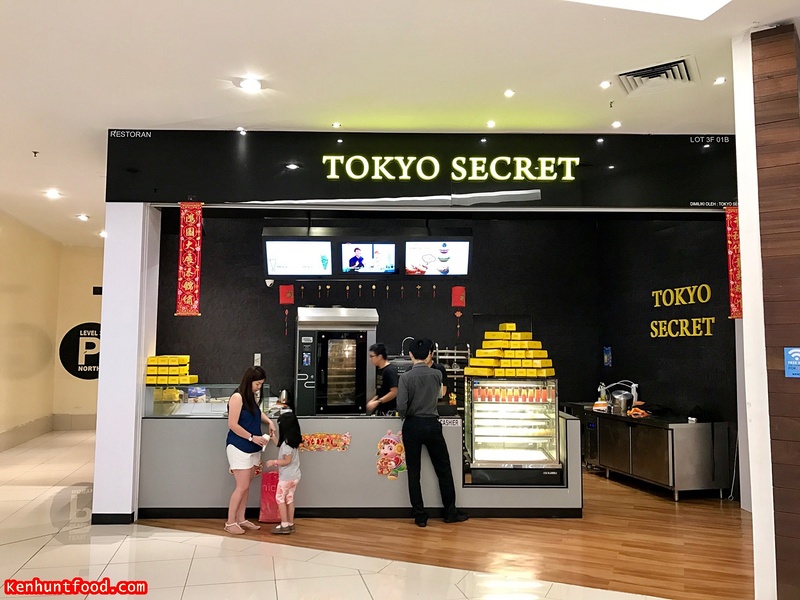 Ken Hunts Food: Tokyo Secret Offers Cheesy Japanese Treats in Penang! Tokyo Secret Offers Cheesy Japanese Treats in Penang! Ever since the invasion of the heart-melting oozy Japanese Cheese Tarts in the nation, Malaysians have professed their love for the yummy Japanese treats and the hipstery food trend goes on (a food trend that we are more than delighted to welcome with open arms). Reward yourself with a Japanese Cheese Tart on this festive season; Tokyo Secret- one of the most loved brands by Malaysians, sourced its recipe from an experienced Japanese Chef and all the ingredients are imported from Japan and obtained from suppliers with certificates of Halal-compliance. No preservatives nor artificial coloring is used; tarts are often freshly baked on the spot so a short wait might be required but rest-assured, this is to ensure that Tokyo Secret delivers some of its best-quality and freshest Cheese Tarts to you. Tokyo Secret is constantly rolling out seasonal flavors, miss not by visiting the nearest Tokyo Secret to your place now (available in Gurney Plaza and Queensbay Mall Penang)! Though some would argue that Tokyo Secret's Cheese Tarts are priced slightly higher compared to its competitors but for a fair size-to-size comparison, Tokyo Secret offers more and commensurate in sizes. The brand offers 3 fixed flavors- Original Hanjuku Cheese Tart, Matcha Hanjuku Cheese Tart and Hazelnut Hanjuku Cheese Tart; and an constantly-changing seasonal flavor. For now, Tokyo Secret offers Purple Sweet Potato Hanjuku Cheese Tart. It is best consumed while it is fresh out of the oven for the oozy-gooey goodness; enjoyed while chilled otherwise... for the custardy texture. It is not recommended for one to enjoy at room temperature. All Tokyo Secret Cheese Tarts are mildly sweetened with a savory touch. For a simple, no-frills Cheese Tart, go for their Original Hanjuku Cheese Tarts. It offers the cheesiest flavor and the creamiest texture that any cheese lover would hope for. Matcha and Hazelnut Hanjuku Cheese Tarts offer a slightly different dimension; the former flavor has a tinge of vegetal flavor with Azuki Red Beans at the bottom while the latter choice comes with crumbly condiments on top and velvety chocolate concoction. Both are not as cheesy as compared to the original flavor. For a change, go for their seasonal offer- Purple Sweet Potato Hanjuku Cheese Tart. This is my favorite pick (of the available flavors), the Sweet Potato element was bold and amalgamated perfectly with the savory-sweet concoction. The seasonal offer changes from time to time and it is best to observe the latest news on their Facebook Page. Address (for Gurney Plaza): Lot 170-02-63A, Level 2, Gurney Plaza, 10250, Georgetown, Penang. Address (for Queensbay Mall): 3F-22C, Queens Street, Queensbay Mall, 11900, Bayan Lepas, Penang.